Host a Hero's Impact Event in your city! At A Hero’s Impact Foundation there are countless ways that a church can make an Impact in the lives of children across this nation. It is difficult for most to comprehend the pain and suffering that happens between the walls of a Children’s Hospital unless you are one of those families. It is our goal to simply bring HOPE into places with no HOPE by connecting great churches like yours with families that are in sometimes the greatest battle they will ever face. When a church writes letters or sponsors capes, we send each package delivered to hospitals with your churches name and contact information. We connect with child life specialist at your local hospital and deliver packages of HOPE. It is our ultimate goal to connect your church with hurting families giving your ministry the opportunity to shine in some of the darkest of places. Getting involved is simple. Select an option below that best suits the vision of your church. Pick a date to host a “Be a Hero Day” and help the children in your church embrace the vision of helping make an impact in the lives of others. How simple is that? Your kids can dress up as a hero for the day, write a letter of hope and bring a dollar for a child in need. A Hero’s Impact will provide you with the promotional materials to correspond with the option you choose. Some churches have their children write a letter of encouragement or color a page for a child in need. A suggested donation of $1 is requested per letter or coloring page but not required. Some heroic families even choose to donate more. Every dollar helps A Hero's Impact package our letters in bright red envelopes and place our special Impact Card in each envelope. The Impact Card will state that "This package was brought to you courtesy of : A Hero's Impact Foundation and Your Ministry Name, along with your churches contact information. This helps us directly connect your church with these families! Join A Hero's Impact in the Be a Hero Coloring Challenge! Distribute the coloring materials we provide to your kids and let their fun & creativity bring a smile to a child in need. Join A Hero's Impact in the Be a Hero Letter Blast! To participate ask your children to write a letter of encouragement and inspiration to a child in a children's Hospital. Write your notes on colorful paper to enhance the experience. Every letter you send is like laying another brick in the foundation of a child's life. Whatever you include in the letter, no matter how brief, is just right. Every child knows that hearts mean love, so fill a page with them. 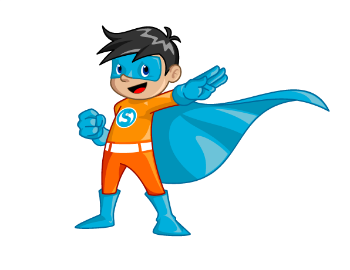 In our Project Hero deliveries; we have a special Hero gift that includes Special Hero Cape, Hero Certificate, and a Hero Creed to transform any ordinary child into a Hero extraordinaire able to overcome anything in their way! Sponsor a child today for a suggested donation of $15 per package.